A story broke last week that a Saudi journalist named Jamal Khashoggi, who was working for The Washington Post, had disappeared and was presumed dead. The official story is that Khashoggi was last seen entering the Saudi consulate in Istanbul, on the afternoon of Oct. 2. Immediately (and suspiciously), media stories that appeared to be coordinated appeared, pointing the finger of blame for Khashoggi’s disappearance at Saudi Arabia, in general, and at the country’s Crown Prince, Mohammad bin Salman, in particular. It was claimed by anonymous sources for several days that Khashoggi had been abducted and killed at the express order of bin Salman, for being a troublesome journalist who was pursuing stories that were causing problems for the Saudi royal family. Detailed stories relating how the abduction/killing supposedly happened filled the news media. 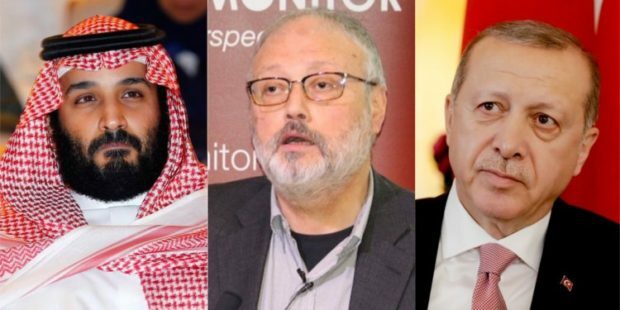 More… Jamal Khashoggi- A Global Muslim Brotherhood Operative Writing For The Washington Post? …The evidence offered above strongly suggests that Jamal Khashoggi was not only a long-time member of the Muslim Brotherhood and close to the Global Muslim Brotherhood but was, in fact, actively supporting Brotherhood-related projects as recently as April of this year as evidenced by his key note address on behalf of the CSID.